Edmund White is the author of 20 books, including The Married Man, The Beautiful Room Is Empty, The Farewell Symphony, and A Boy's Own Story. He lived in Paris for many years and wrote The Flâneur and Our Paris about his time there. A regular contributor to The New Yorker, The New York Times Book Review, and Vanity Fair, White is the director of the creative writing program at Princeton University and lives in New York City. Reading Edmund White is like sharing a café table with a witty professor, a clove-smoking aesthete, and a boy of fifteen. You never know who will speak the next line, but you know it will turn your head. 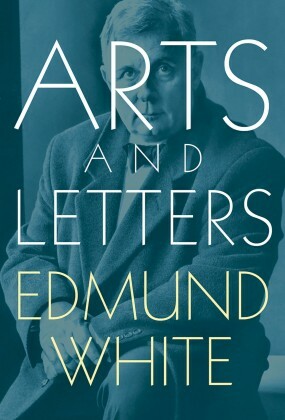 In Arts and Letters, best-selling novelist and biographer Edmund White draws on his wide reading and his sly good humor to illuminate some of the most influential writers, artists, and cultural icons of the past century, among them Marcel Proust, Catherine Deneuve, George Eliot, Andy Warhol, André Gide, David Geffen, and Robert Mapplethorpe. Whether he’s praising Nabokov's sensuality, critiquing Elton John’s walk ("as though he’s a wind-up doll that's been overwound and sent heading for the top of the stairs"), or describing serendipitous moments in his seven-year-long research into the life of Genet, White is unfailingly observant, erudite, and entertaining. Regina Marler spoke with him in New York City, where he currently resides. Regina Marler: Several of these profiles are of people you know. Is it more difficult to write about a friend? Edmund White: Once you become friends with someone you enter into his own (or her own) self-evaluation. You take people at their word and you are incapable of evaluating them independently—this act of "treachery" (i.e. objectivity) often marks the end of the intimacy. I don't mind writing about friends sympathetically, especially if they've been misunderstood. In my essay on Mapplethorpe, for instance, or on Foucault, I felt I was able to set the record straight, to show that Mapplethorpe was not a racist and that Foucault did not mislead people about his HIV-status. RM: Has anyone ever protested something you’ve written about him or her? EW: Yes—or rather the subjects have dropped me afterwards or cut me dead in public. Many older men are still quite closeted and even the faintest hint of their homosexuality will seem like a terrible attack or betrayal. RM: You've been interviewed so much yourself. Has your own experience with journalists affected your practice as an interviewer? EW: In the Yves Saint Laurent interview I mention that I myself had had a problem with drink and with weight because I didn’t want to be guilty of the common journalistic ruse of sympathizing during the interview and sharing the subject's woes while excluding all mention of one's own vulnerability in the final printed piece. I also know from personal experience how wounding physical descriptions can be if they are nasty—much worse than an outline of one's moral flaws! RM: Virginia Woolf used to write fiction in the mornings, almost fresh out of bed, and consign her reviews and essays to the afternoon and evening. How do you balance your creative writing with your critical work? Does it feel as if they are written with different parts of the mind? EW: Definitely different parts of the mind. Fiction—especially autobiographical fiction—is a constant act of daring and memory and catching half-thoughts on the wing, whereas critical writing is based on extensive reading and study and analysis. I'm afraid I'm not as efficient as Virginia Woolf (or as talented) and almost any project I undertake is the only one I can do until I’ve finished it and moved on to something else. I'm the kind of guy who eats all my peas and then all my potatoes. I think journalism keeps me from taking myself too seriously as a novelist. I've seen so many slightly pompous, anguished fiction writers with writing blocks or major career questions and I'm determined not to dwell on such things. In any event the deadlines in journalism and the heavy editing prevent one from being word-proud or blocked. But I seldom interview other writers. I feel I learn more by interviewing actresses or businessmen or fashion designers—people whose work is a bit mysterious to me. RM: Do you have a favorite, among the interviews and profiles collected here? EW: I enjoyed introducing members of the general public to Herbert List's photography. I love that period of Berlin between the wars, one that I can't help identifying with one of my favorite writers, Christopher Isherwood. List was a Jew, an esthete, a good European, a gay man, a real artist, and very sensitive to questions of exploiting subjects in photography (which is a very contemporary question). RM: Who did you find most daunting to meet or write about? EW: I never interviewed or even met Nabokov but I did put together a special issue of The Saturday Review dedicated to him in the early 1970s. I was already in my early 30s but still pretty insecure and shy. It took me a long time to get up my nerve to phone him. He was totally charming, even when I dared to send him an edited version of the little essay on Inspiration he wrote for me. I set his version in type, mistakes included, then set the edited version and sent both proofs to him, giving him his choice (he was notoriously difficult with editors). He wired back: "Your version perfect." What a relief that was. He was and is my favorite 20th century writer. After his death I did meet Vera, his widow, in Montreux and she, who was famous for her eidetic memory, recited a whole page from my first novel, Forgetting Elena, for my pleasure. That must have been the happiest moment in my career.